Geneva - The Euro-Mediterranean for Human Rights Monitor called on the Palestinian Authority in the West Bank to drop all charges against the founder of "Youths Against Settlements" group, human rights defender Issa Amro, before his first trial which is scheduled this afternoon, over a Facebook post in which he criticized the Palestinian Authority, which was considered by the Authority a violation of the Cybercrime Law and an incitement of sectarianism and ‘slander of higher figures’. In a press statement ahead of the trial today, the European Union expressed its deep concern at violations committed by the Palestinian Authority security services against the freedom of opinion and expression in the West Bank, saying that these practices are a form of intimidation and a restriction of freedoms. The EU pointed out that the security services in the West Bank arbitrarily detain activists, journalists and human rights defenders in a clear violation of human rights conventions signed by Palestine, as well as local laws in the Palestinian territories. 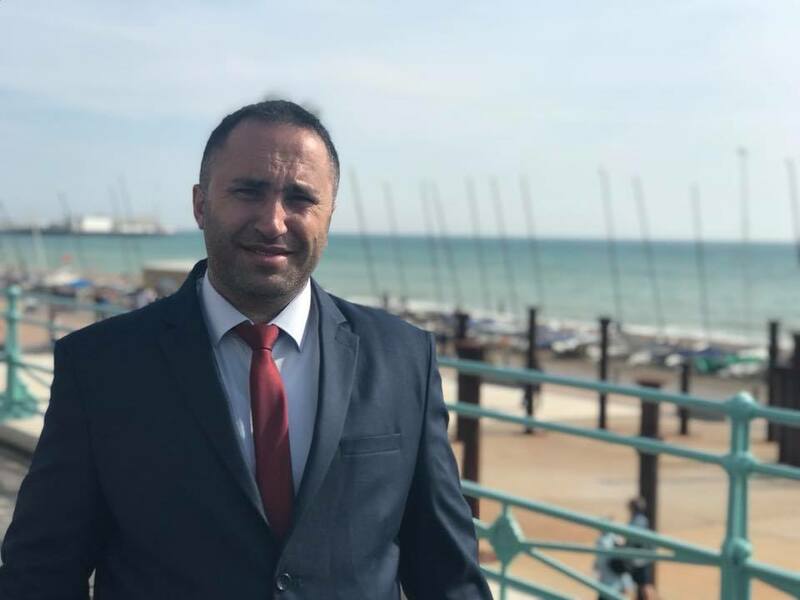 Amro faces charges of violating the Cybercrimes Law by “threatening public security,” causing “sectarian strife” and “lengthening the tongue” under the Jordanian Penal Code of 1960, which is still applied in the West Bank. Activist Issa Amro explained to the Euro-Med team that, in addition to the harassment and persecution campaigns against him by the Israeli occupation authorities due to his peaceful and human rights activities against settlements and occupation, he is subjected to a campaign of distortion and threats by Palestinian security services in the city of Hebron following pressure by the Israeli occupation authorities, so that he gets isolated from his community and his field activity gets weakened. Amro said that the charges against him are illegal and contravene the Palestinian Basic Law, which guarantees freedom of expression. He called on the Palestinian Authority to allow practicing freedoms, support human rights defenders and protect freedom of expression and the work of journalists. Amro called on the PA to drop all charges against him as well as all human rights defenders and journalists in Palestine, and to repeal the provisions of the Cybercrimes Law that prohibit freedom of expression. It is noteworthy that the Cybercrimes Law, which was approved by the Palestinian Authority in June 2017, included in some of its provisions a violation of the Palestinian Basic Law and the principles of public freedoms and human rights norms that guarantee freedom of opinion and expression and restricts it only in cases of necessity and under complex conditions. The Law includes 61 articles, some of which are loose enough to allow for different interpretations to criminalize activists who oppose the PA’s policies, under which the Palestinian citizens will not be able to know what is permitted and what is prohibited under law. They may be subject to arrest without knowing why they were arrested and what crime did they commit. The spokesman of “Youths Against Settlements," Mohammed Al-Zaghir, demanded the Palestinian leadership to support the activities of the youths, rather than prosecuting them, and to hold those who harm their cause for personal reasons or unknown reasons accountable. Al-Zaghir explained that all the activists of the group are working very hard to expose human rights violations, stressing that the practices of the occupation and the Palestinian Authority against them will not stop them and will not prevent them from continuing their work. The EU called on the Palestinian Authority to respect the treaties and conventions to which it acceded, in particular the 1966 International Covenant on Civil and Political Rights, which clearly states in Article 19 that “Everyone shall have the right to freedom of expression; this right shall include freedom to seek, receive and impart information and ideas of all kinds, regardless of frontiers, either orally, in writing or in print, in the form of art, or through any other media of his choice,” which is also provided for in Article 19 of the Universal Declaration of Human Rights. The Euro-Med calls on the Palestinian Authority and its security services to stop violations of human rights and public freedoms in the occupied West Bank and to stop the policy of summonses and arrests on the background of freedom of opinion and expression.